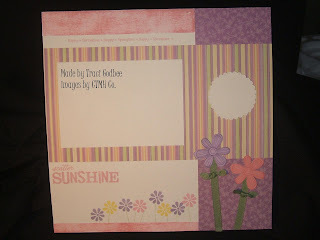 Create with Traci: It's Spring! It's official- I have a flower blooming in my yard... one flower! Well... actually it looks like it's starting to spread- there might be 2 or 3 of them in this clump. I took this photo on my way out the door to work this morning... the car was frosted over the first time I walked out. I think the frostiness made the colors more vibrant! My tulips have all popped up - but it's still too early for those to bloom here.